1 Corporate governance Although not described in the vehicle documentation, the INREV corporate governance module has been considered by the manager. The intended framework partially complies with the INREV corporate governance best practices. All best practices have been adopted except for the fact that investors are not able to terminate the contract of the manager without cause. The vehicle formally assessed at the end of the financial year that it is currently following its intended corporate governance framework. 2.1 Reporting Although not detailed in the vehicle documentation, the INREV reporting module has been considered by the manager. The manager has complied with all the requirements of the INREV reporting module. 2.2 Sustainability Reporting Although not detailed in the vehicle documentation, the INREV sustainability reporting requirements have been considered by the manager. The results of the INREV Guidelines assessment show that the manager has complied with all the requirements of the INREV sustainability reporting module. 3 Property valuation As described in the vehicle documentation, the INREV property valuation framework module has been considered. The manager has defined a valuation framework which fully adopts INREV valuation best practices. The level of current compliance with the defined valuation framework was last formally assessed during the financial year when it was determined that the vehicle was in compliance with all elements of the intended valuation framework. The manager has disclosed all relevant INREV performance measures in accordance with the requirements of the INREV Performance Measurement module. 5 INREV NAV The manager has complied with all the requirements of the INREV NAV module, except for the fact that assumptions used to determine the fair value of deferred taxes are not fully disclosed for confidentiality reasons. 6 Fee and expense metrics As described in the vehicle documentation, the INREV fee and expense metrics framework module has been considered The manager has fully complied with the requirements and recommendations of the INREV fee and expense metrics module. 7 Liquidity As described in the vehicle documentation, the INREV liquidity framework module has been considered. The manager has defined a liquidity framework which fully adopts INREV liquidity best practices. 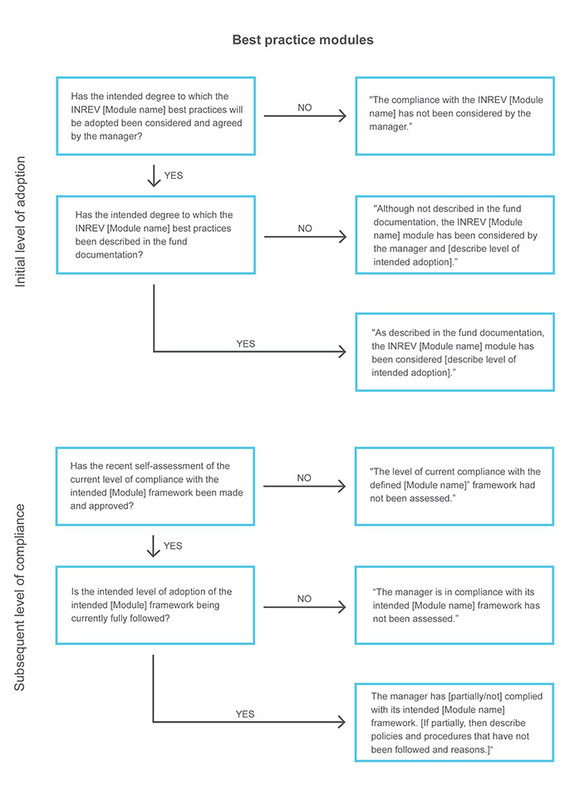 The manager formally assessed in at the end of the financial year that it currently follows the defined liquidity framework. The manager is in compliance with the INREV data delivery module. As described in the vehicle documentation the results of the INREV Guidelines Assessments should be disclosed in investor reporting.